The dividend millionaires mentioned on the site usually fit a certain profile. They tend to be long-lived, frugal to the point of obsession and childless. In fact in most cases the eccentricities of these people are probably what drives them to accumulate all that wealth. Without them we probably never hear their stories. In that sense the story of a former Union Pacific billing clerk called Jack Gsantner is not much different. A relative of Gsantner’s pinned his attitude toward money on his upbringing during the Great Depression. “He never dressed like he had a dime”, is apparently how one neighbor put it. Right up until the day he died that would have been most folks’ impression of him. Indeed Gsantner’s estate, presumably consisting almost entirely of his Nebraska home, was estimated to be worth just a little over $125,000. That was before the treasure trove was unearthed. Within the confines of Jack Gsantner’s home a stack consisting of dozens of stock certificates was found. 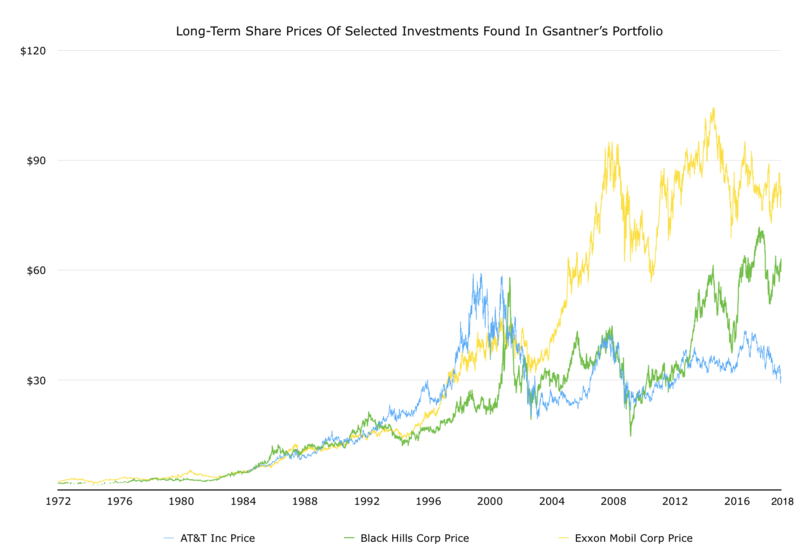 The list of assets under his ownership included household names such as Exxon Mobil and AT&T. There were over eighty companies and mutual funds there in total. In addition to his stocks and funds, the representatives of his estate found numerous Omaha bank accounts. Each one contained over $100,000 in cash. The final piece of his empire was a $115,000 town house located in Arizona of all places. Gsantner’s records indicated that at one point he had owned around twenty rental properties in total. Once everything was brought out into the open the total value of the estate came to just over $5 million. My guess is that Gsantner was clearing over $2,000 per week in cumulative interest and dividend payments. With the possible exception of his late wife nobody ever even knew about it. Aside from his secret millionaire status the other remarkable aspect of this case is what happened to Gsantner’s assets after he died. Almost without fail each of the dividend millionaire cases to date have involved clearly thought out charitable donations. In this case it took the representatives of his estate nearly a year to even find his will. At that point it was almost twenty years out of date, with most of the heirs having already died themselves. Ultimately most of the proceeds ended up going to distant relatives. Folks who never even met Jack Gsantner were handed checks for over $150,000 each. A cousin, who had once lived with a young Gsantner and his parents in Nebraska, received almost $500,000 from the sale of the house and a portion of the stocks and cash.